Exome sequencing in schizophrenia. 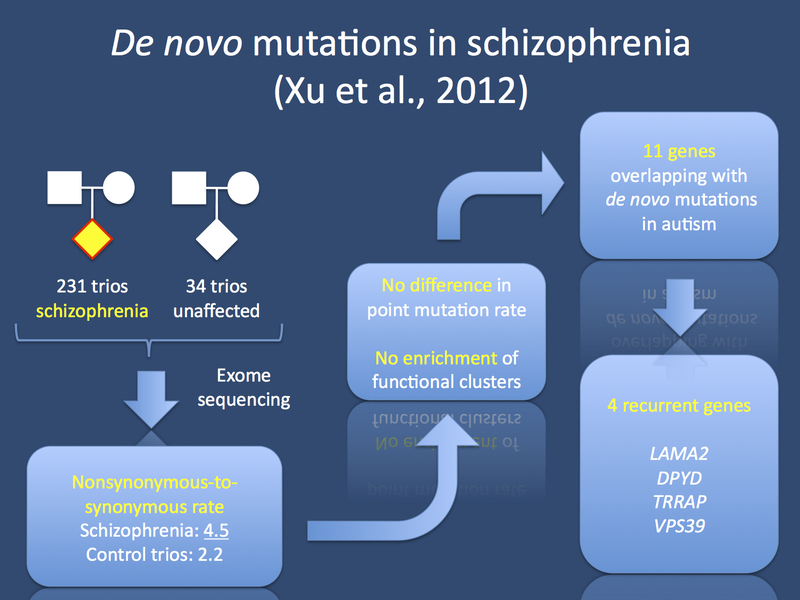 Xu and collaborators have performed the largest study on exome sequencing in schizophrenia to date. They identify four genes that are found in at least two patients, suggesting that these genes are interesting candidates.